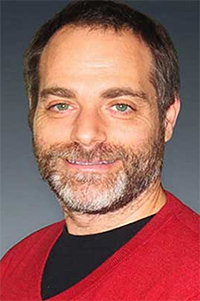 Congratulations to Dr. David Asner at Pacific Northwest National Laboratory on being initiated into the ranks of American Physical Society Fellow. The APS, founded in 1899, is the leading voice for physics and an authoritative source of physics information for the advancement of science and the benefit of humanity. Asner was chosen for his leadership in heavy flavor physics and for his key role in the analysis and interpretation of data recorded by the CLEO detector that operated at the Cornell University electron-positron. Asner's research focuses on the search for new particles, new interactions, and new phenomena by understanding the most fundamental constituents of the universe. Throughout his career, he has designed, built, executed, and analyzed data from high energy physics (HEP) experiments. HEP experiments re-create the conditions found in the first fraction of a second after the Big Bang. His work has taken him from cathedral-sized detectors at major research institutions to pristine underground laboratories tucked deep inside underground in mines. He has written or co-written more than 400 articles. The publications cover topics such as matter/anti-matter oscillations, quantum interference of exotic states of matter, and studies to elucidate the nature of the Higgs boson. His work is primarily funded by the U.S. Department of Energy's Office of Science's Offices of High Energy Physics. Currently, he serves as Chief Scientist for the U.S. Department of Energy U.S. Belle II Project. Asner joins Pacific Northwest National Laboratory's Dr. Christopher Mundy and Dr. Don Baer in being named fellows in 2014.